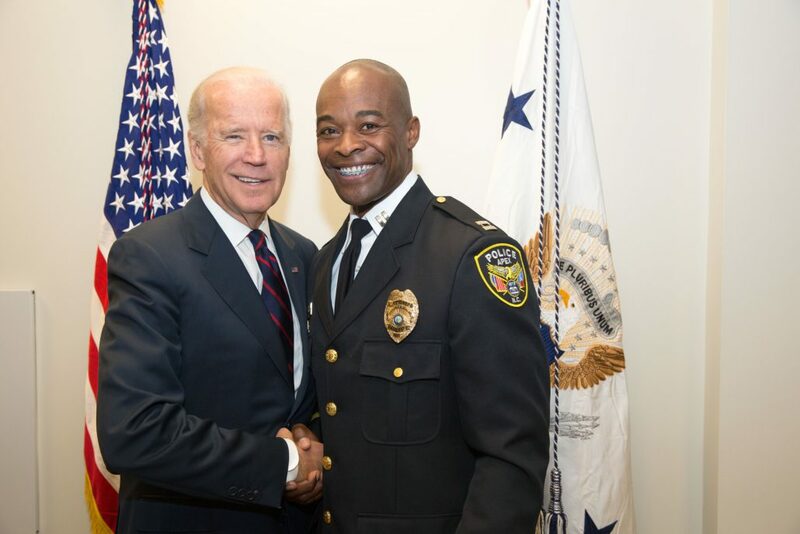 The Apex Police Department is one of seven departments nationwide that will be honored by the White House Monday for work in positively connecting law enforcement and the community’s youth. Capt. Jacques Gilbert and 20-year-old Apex resident Tracy Stallworth will take part in the White House’s “Champions of Change” ceremony at 1:30 p.m.
“The Champions of Change program was created as an opportunity for the White House to feature individuals doing extraordinary things to empower and inspire members of their communities,” according to a White House news release. In 2012, Gilbert and Stallworth started working together after residents kept complaining about Stallworth and his friends skateboarding downtown and in neighborhoods. Together, Stallworth and his friends started a skate team, performed community service and came up with ideas to create a skate park. Earlier this summer, Apex dedicated the $1 million Rodgers Family Skate Plaza that has been heralded. The free park created a safer environment for skaters, relieved a headache from downtown business owners and freed up police officers to respond to other calls. “The project has improved relationships between Apex police officers and youth in the community, who can now use the skate park freely,” the White House said. Monday’s ceremony will feature Attorney General Loretta Lynch, Senior Advisor to the President Valerie Jarrett and NBA player Caron Butler, who plays for the Sacramento Kings. The ceremony will be streamed live Monday at www.whitehouse.gov/live.